S. BERBENNI, FFT calculations for dislocations and g-disclinations. Potential applications to grain boundaries and twin tips. MAI SN Workshop EDF « Behavior of metallic materials used in the nuclear field: from microstructures to structural integrity », EDF Les Renardières, November 12-13, 2014. P.A. Juan, S. Berbenni, C. N. Tomé, L. Capolungo, Twinning: inspection of internal stress development in Mg alloys, Workshop « Twinning » organisé dans le cadre de Labex Damas, Metz, France, 12-13 Novembre 2013 (organisateurs : L.S. Toth et S. Berbenni, http://www.lem3.fr/labex/index.php?page=WP4WP5&langue=en). E. Patoor, Multiaxial characterization of Shape memory alloy behaviour, CASMART Meeting, Texas A&M, College Station, Texas, USA, 14 mai 2010. E. Patoor, Current activities on shape memory alloy, Seminar at Ibrahim Karaman’s group meeting, Texas A&M, College Station, Texas, USA, 9 avril 2010. E. Patoor, How to bridge the scales? Application to SMA-based structure, Guadalupe River Retreat, New Braunsweld, Texas, 23 août 2010. C. Caër, J.S. Lecomte, S. Berbenni and E. Patoor, Size effect in SMAs, Characterization and micromechanics, SMA behaviour modelling seminar, Lac de la Madine, 19-21 décembre 2010. B. Piotrowski, T. Ben Zineb, E. Patoor and A. Eberhardt, Modeling of NiTiNb SMA composite behaviour, SMA behaviour modelling seminar, Lac de la Madine, 19-21 décembre 2010. Y. Payandeh, F. Meraghni, A. Eberhardt, E. Patoor, Influence of martensitic transformation on mechanical behavior of NiTi/epoxy smart composite, SMA behaviour modelling seminar, Lac de la Madine, 19-21 décembre 2010. T. Ara, B. Piotrowski, C. Bouby, T. Ben Zineb, E. Patoor, Effect of plasticity on the martensitic transformation properties for NiTi SMA, SMA behaviour modelling seminar, Lac de la Madine, 19-21 décembre 2010. C.ESLING Organisateur de “French-Chinese Symposium on Advanced Materials towards Energy, Transport and Environment”, 24-26 May 2010, Shenyang, China, organisé sous les auspices de l’Ambassade de France à Pékin. Brevet : Process for coating discrete articles with zinc-based alloyed layer. US2012 0045582 (23 february 2012) ; US2015 232985A1 (Aug. 20, 2015). C. Giraud-Audine , L. Morhain, R. Bigot , G. Abba, Brevet en France déposé à l'INPI le 26 Août 2009 par le cabinet boettcher (22 r. du General Foy - 75008 Paris - France): titre "Procédé de mise en forme assisté par vibrations". E. Patoor, Conference 7289, Active Materials: Behaviors and Mechanics, in Smart Structures and materials SPIE Conference 2009, San Diego, California, 8-12 March 2009, program committee member. E. Patoor, Conference Symposium on Shape Memory Alloys, Joint ASCE-ASME-SES Conference on Mechanics and Materials, Blacksburg, Virginia, USA, June 24-27, 2009, co-chairman. E. Patoor, Session S18, Comportement des matériaux, XIXième Congrès Français de Mécanique, Marseille, 24-28 Août 2009, Co-organisateur. C. ESLING, Co-organisateur du SF2M-DGM, Texture and Anisotropy, symposium, Université de Paris-Sud 11, ICMMO, Orsay, Thursday, April 2nd, 2009, "Solid state transformations - Consequences on microstructures and textures of materials" Friday, April 3rd, 2009, "Texture and microstructure control in structural and functional materials" and Co-editor of the Proceedings (with T. Baudin) in a special issue of Advanced Engineering Materials. M. GUNES, S. MERCIER, M. MARTINY, Etude thermo-mécanique de circuits imprimés. Rapport de contrat, CIMULEC - Septembre 2008. A. Molinari, Spiru Haret Award of the Romania Academy of Sciences (Bucharest) jointly with Prof. C. Faciu, 2008. F. MERAGHNI, Chairman, Journées Scientifiques et Techniques (JST) Européenne, JST-e, Apports des techniques de mesure de champs et des méthodes inverses d'identification en mécanique des matériaux composites, Metz, 7 février 2008. E. Patoor, Active Materials: Behaviors and Mechanics in Smart Structures and materials SPIE Conference 2008, San Diego, California, 9-13 march 2008, committee member. E. Patoor, Active Materials, Mechanics and Behavior Symposium in ASME Conference on Smart Materials, Adaptive Structures and Intelligent Systems (SMASIS), Ellicott City, Maryland, USA, October 28-30, 2008, membre du comité d'organisation. E. Patoor, International Conference on Smart Materials and Adaptative Structures: Mathematical modelling and computation, Tanger, April 14 - 18, 2008, Membre du comité d'organisation. S. Berbenni, Présentation du projet ANR "LIOM" : Longueurs internes et optimisation de microstructure dans les métaux poly-cristallins. Journée scientifique de la Fédération de Recherche GI2M, Metz, France, 13 septembre 2007. S. Berbenni, Elasto-plasticity, Elasto-viscoplasticity of single and poly- crystals, multiphase materials. 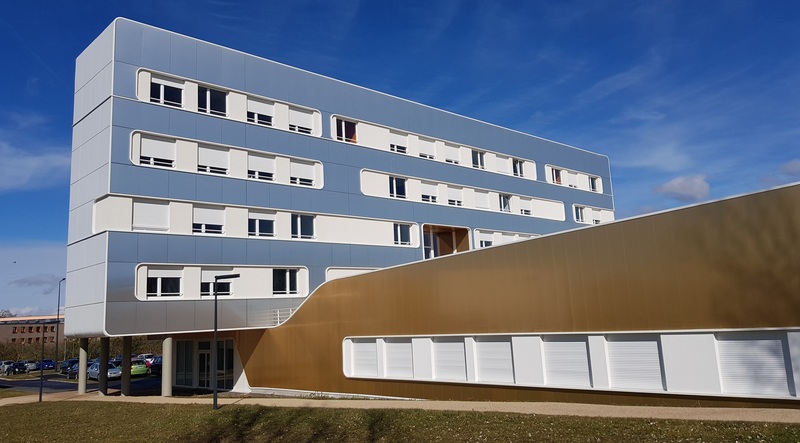 Lecture (intervenant) à l'Ecole d'été thématique Franco-allemande "Matériaux fonctionnels modernes : de la théorie aux applications". Bad Herrenalb, Allemagne, 2-8 septembre, 2007. E. Patoor, Active Materials: Behaviors and Mechanics in Smart Structures and materials SPIE Conference 2007, San Diego, California, 18-22 march 2007, committee member. L.S. Toth, SHEAR'07: Congrès International: Shear Behavior and Related Mechanisms in Materials Plasticity, 4-7 Sept. 2007, Nancy, co-chairman du congrès. N. GEY, co-organisateur des journées de formation spécialisées : La Technique EBSD: Récents Développements et Principales Applications à l'Etude des Matériaux Métalliques, Université Paul Verlaine-Metz, 20 et 21 septembre, 2007.